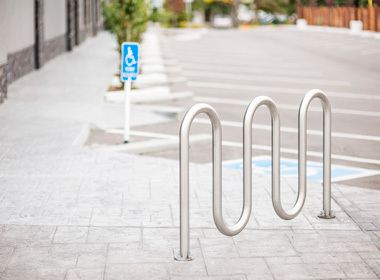 Outdoor Bike Parking | Reliance Foundry Co. Ltd.
Our standard bike racks provide simple and clean aesthetics to accommodate a range of parking environments. Simple, practical and versatile, they suit any application while complementing a range of architectural designs. We also offer a range of decorative bike parking products, featuring cast designs used for our architectural bollard products. Choose from a range of classic and modern styles to satisfy both traditional and contemporary spaces. Reliance Foundry was built on a tradition of providing the highest-quality cast metal products. 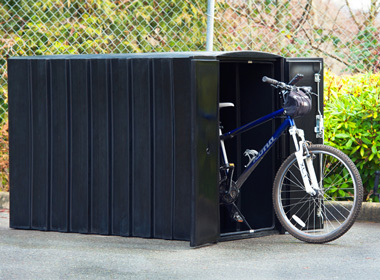 Our bicycle parking solutions offer effective security and require minimal maintenance to protect against weathering and long-term use. Our products are made from machined stainless and standard steel or cast ductile iron, ensuring the best strength and durability. 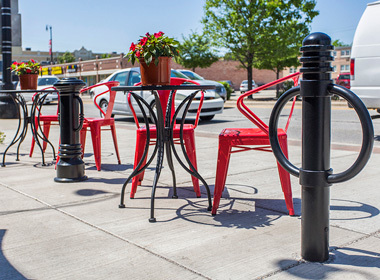 Stainless and powder-coated surfaces provide a clean and resilient surface, minimizing wear and rust. Powder-coated surfaces come in either a standard Black Textured Semi-Gloss or one of our premium color options. We offer an online catalog with detailed pricelists that include volume discounts for the best possible prices. Formal quotes can be requested and will be delivered within 1 business day. Allow up to 21 days for processing and shipping anywhere in North America. Expedited and international shipping are also available. Questions? Contact our knowledgeable sales staff at any time. Receive updates via Reliance Foundry’s newsletter. You may unsubscribe at any time. Receive updates via Reliance Foundry's newsletter. You may unsubscribe at any time. Copyright © 2019 Reliance Foundry Co. Ltd. All Rights Reserved. Please fill in the details below and receive a quote within one business day. What product(s) are you enquiring about? Not sure what you're looking for? Browse through our products or contact our customer service department.